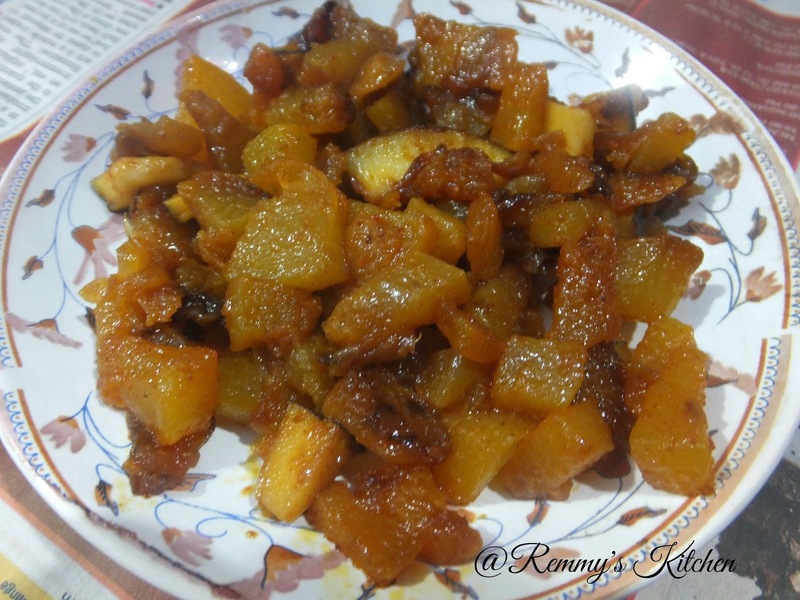 Papaya stir fry was a common dish in our dining table.My Achan (dad)loved this version and Amma used to prepare it for us.It is a simple recipe with less ingredients but tastes heavenly.Papyas are excellent source of vitamin C ,A, E, K and minerals.It will helps to reduce the risk of many life style related diseases. A fish fry , Moru curry and papaya mezhukkupuratti....wow..drooling here..!!!!!!!! !And you..???? Peel the papya remove the seeds and chop it in to small cubes.Wash it well and sset aside. 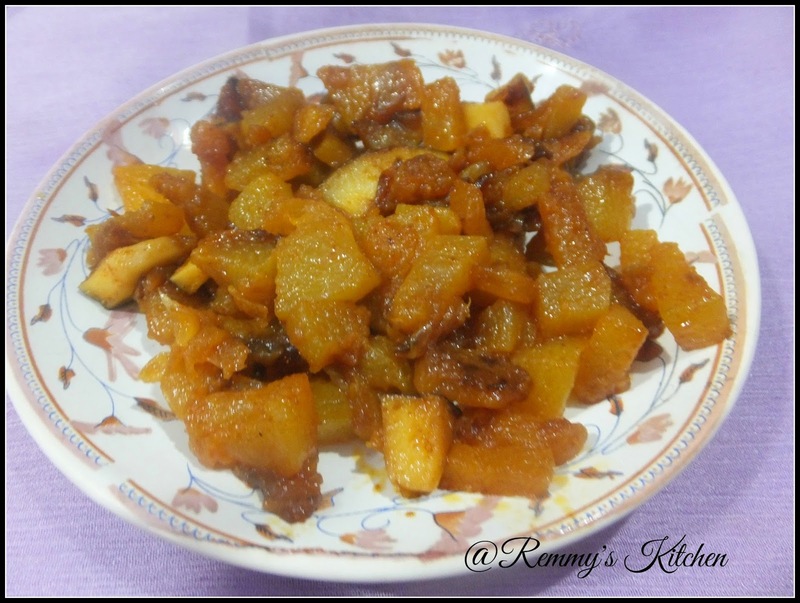 Now heat a pan with oil.Add crushed shallots and saute it well.Now add coocnut bits and chilly powder.Saute it well in low flame .Add cooked papaya and fry it well in low flame. 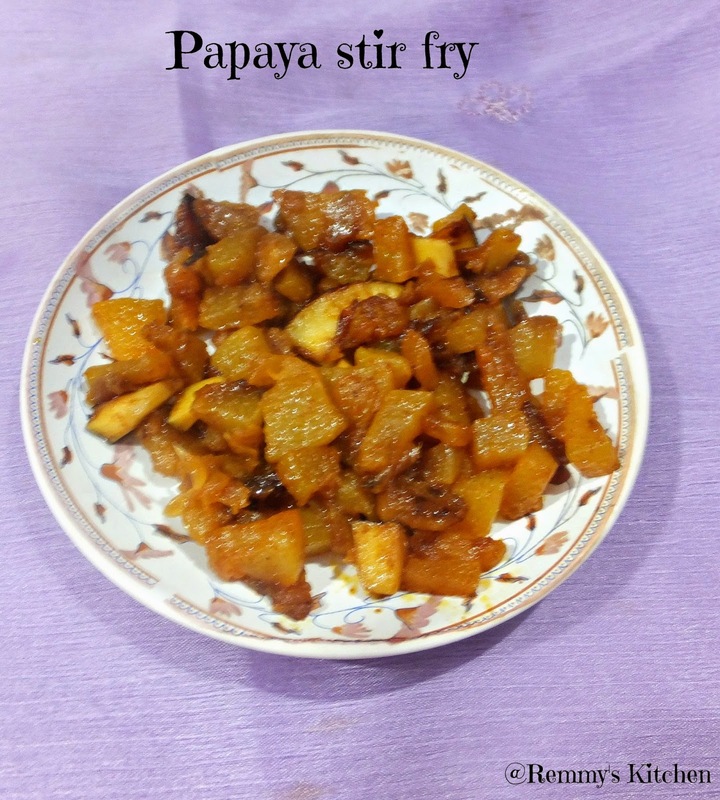 Papaya stir fry is ready to serve with rice!!!!!!! Another delicious looking recipe Remmy!